Masterstroke - A Rose Is A Rose Is A Rose! My father believed that I would never make it big in life. My mother never said anything but her silence said a lot. Relatives and friends had trouble suppressing their smirks in my presence. And on television, today, as India’s Most Wanted! 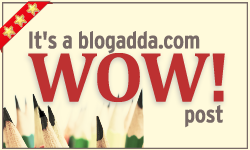 This post is a part of Write Over the Weekend, an initiative for Indian Bloggers by BlogAdda. This time the entry must word Love and just 5 sentences to complete a story. To read posts by fellow friends and UBC and NaBloPoMo participants, click here Jairam, Kajal, Kathy, Michelle, Nabanita, Richa, Suzy Que, Sheethal. Yes, we can do we with some more cheering and support. Interesting… nothing mushy, no lover murdered, no one pining… just a lot of misplaced ego of a criminal! Good one. Hey, don’t be an ordinary boring person. Either you should be famous or you should be notorious. Oh lol, good twist Shilpa. Fathers always are always right when it comes to their daughter. Sons can take a back seat..
Lol … Such misplaced pride. I’m sure many of our infamous dons think like that. Very powerful !! Shilpa, this masterstrke is your masterpiece!! Beautifully written. Please read ‘masterstroke’. Sorry for the typing error. Wow! That one ended with a big bang!! WOW! 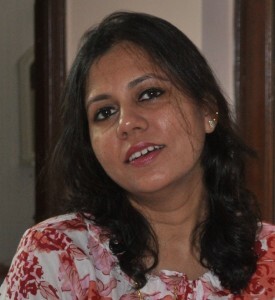 Richa paints a masterpiece every time and this time too your canvas has all the right hues. Sorry sorry , I made a mistake SHILPA. Ha ha! An end that made my eyes wide! A good twist for a 5 sentence piece Shilpa! Congrats to you on selection to WOW group.